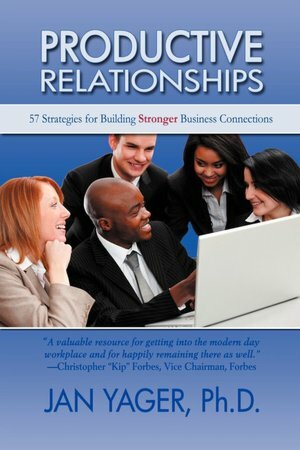 A useful guide to developing productive business relationships to help you get along at work, not just to hasten your success, whether you work for a major corporation, a small business, or are a self-employed entrepreneur or freelancer, but to help you keep your job and lower your stress levels. A follow-up to Yager’s well-received international hit book on work relationships, Who’s That Sitting at My Desk?–but this book stands alone– Yager covers everything from dealing with workplace bullies — coworkers as well as bosses — as well as negative and positive types you may encounter at work and how to cope with each one, workplace violence, and using social media effectively for more productive relationships. Sociologist and business coach Yager did extensive original interviews and observations throughout the United States and internationally for this useful book. The author’s bosses, over the years, have included legendary publisher Barney Rosset, Pulitzer Prize-winning author Norman Mailer, academic chairs, and many executives.